Vampyr Review | Nerd Much? A review copy was provided for our Vampyr review. Vampyr is an RPG from the developers of Life Is Strange and as you can tell by the title, this new game is quite the deviation from the high school student that could turn back time. In Vampyr, you play the part of one Dr. Jonathan Reid. You meet him just as he is on his way back from the frontlines of the war in France, when a mysterious figure decides to turn him into a vampire. Reid wakes up in a mass grave, one of the many results of the Spanish Flu plaguing London. The man is rightfully confused and terrified but soon meets a friendly face that helps him come to terms with his new condition as a vampire. Though Reid is glad for the distraction this new friend provides, he is dead set on finding who his maker is. The more Reid discovers the more questions are left unanswered. However, somewhere along the way, Reid finds a new life filled with much more turmoil than the war ever could have prepared him for. Without giving any spoilers, there are many layers to the story of Vampyr and the complexity of those layers lies in the people you meet. As such, you must be aware that Vampyr is first and foremost an RPG. There is much more focus placed on talking to people and getting to know them, than combat. Though that isn’t to say the combat is poorly done, it simply is not the focus of the game. In Vampyr, the majority of your time will be spent talking to people — the more you talk to people, the more experience points you will get. In addition, since the main character is a doctor, it is only natural that Reid takes care of all the citizens he meets. This community doctor mechanic is called the Citizen Menu, a tongue-in-cheek reference to what the game refers to as Blood Quality. The healthier the citizen (the higher the Blood Quality), the more experience points they will provide if you decide to kill them. 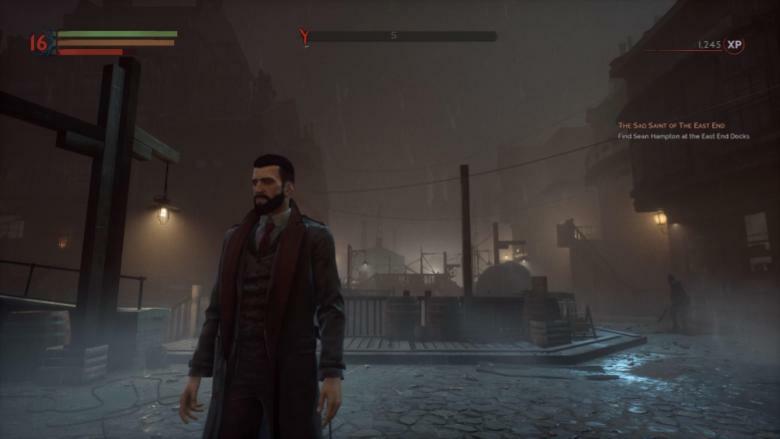 Though Vampyr does its level best to tempt the player into a high chaos run by killing every citizen you meet, the advantages of not doing so lie in the narrative. The more people you keep alive, the healthier the community and the more story you will get to participate in. There are some citizens you can kill with very little consequences, but then their story ends and you might not be able to unlock hints for other characters. Hints are another exciting feature in Vampyr. Unlike mainstream RPGs like Dragon Age or Mass Effect, there are certain bits of dialogue with each community member that requires the player to either investigate (aka, a side quest) or talk to more members; unlocking hints is not a matter of skill level in a certain areas, like Knowledge or Paragon/Renegade. As to combat, the developers are definitely taking a page or two out of the Dark Souls menu. For example, you can only do one action at a time, you cannot interrupt one action with another. This takes some getting used to if you haven’t played the first Souls game, but be assured that each fight is still designed to let you win. They are not at all difficult if you are paying attention and use a little strategy. Another thing to keep in mind is that all enemies level up along with the player – they will always be 2-5 levels higher than you. This makes for a healthy challenge as you make your way through the streets of London. 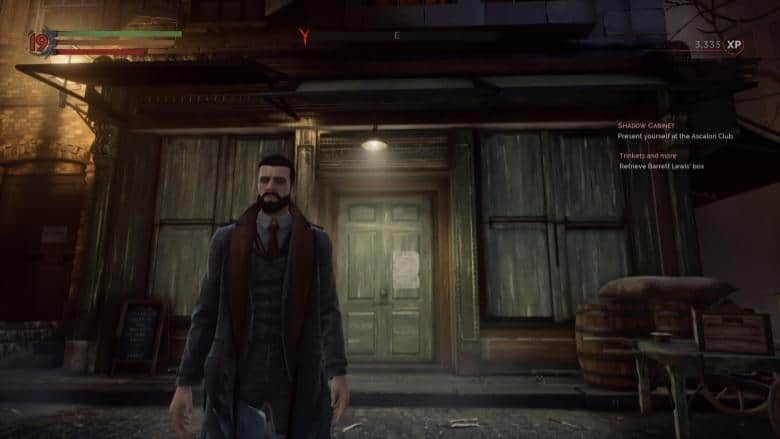 For the vampire lore lovers out there, I would like to mention that there are quite a few clever little details in Vampyr that make it a real joy to play. One such detail is the effect crosses have on vampires. Rather than the vampire hissing and acting like an angry cat, crosses emit an extremely bright light that simply hurts to look at directly. This mechanic is a much stronger reference to the sun and its association with Christianity. That is not to say Vampyr does not come with a few glitches. Almost all of these are to do with the graphics and though I had no mechanical problems whatsoever, my colleagues were not so lucky. One had a game crash, never to be recovered. However, Dontnod has been extremely understanding and helpful, I am sure that if you encounter any problems they are happy to address them. As such, it is clear that the developers are working on patches so a lot of the problems I list below might be obsolete by the time you read this. The most noticeable glitch occurs when speaking to characters at the beginning of the game. Depending on how you approach them, you can end up at a wrong angle. This seems to get fixed once you reach the first community in the game. In addition, you can usually turn the camera to a more desirable angle. Each community member is voiced and it makes the game all the more immersive. 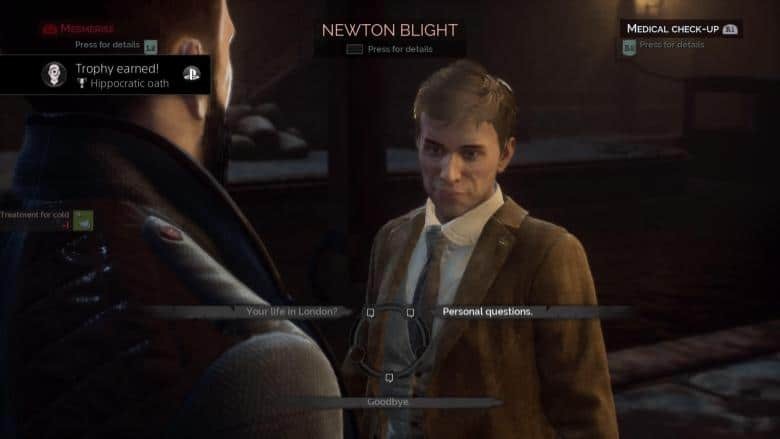 The only glitch that affected gameplay was that sometimes characters would not appear where they should. However, if you leave the area and come back, the issue will correct itself. Otherwise, the graphics are fairly good. They are not perfect and they are not AAA quality, but they come very close. For example, face models are detailed enough for you to distinguish one citizen from the next. This is important when you’re side-questing and trying to find the right person. The environmental design is also on point; the city of London is faithfully recreated in stunning detail, including the war propaganda posters, architecture, and streets. This gives the player a lot to look at and explore between destinations. As to audio, I will admit there is nothing spectacular or Hans Zimmer about it. Environmental sound is well timed and layered. Each punch or hit sounds like it should. Music consists mostly of ambient string, especially the cello. Other instruments will be added and swell for a boss fight, important cutscene, or the West End. Vampyr is fully voiced and none of the performances are phoned-in at all. Each community member is voiced and it makes the game all the more immersive. 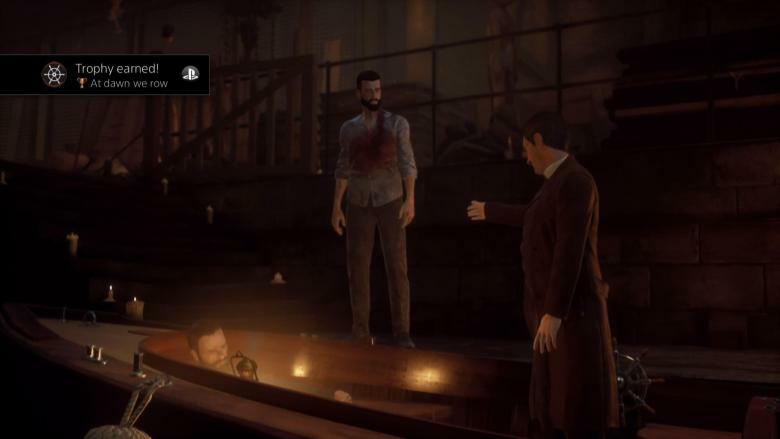 All in all, Vampyr is an exceptional game that is definitely worth the price tag. The glitches in my playthrough were not enough to affect gameplay. As such, they only affect our review score slightly, as I did not experience any that weren’t solved by restarting the game without any gameplay loss. Everything else fits the game’s indie budget and exceeds expectations: the story is great, graphics are great for the budget, and audio is great. I am so beyond impressed with the scope and writing of this game. I really feel like they’ve studied a lot of vampire lore and as such, it really feels like you are playing as one. This game is perfect for any vampire lore lovers out there that shun the sparkly kind. Victorian vampires have never been so intriguing and exciting as they are in Vampyr.